The Danger Lives On & On. Spent fuel is hot stuff. It's thermally hot -- about 400 degrees Fahrenheit. That's not residual heat from when the fuel was in the reactor, it's decay heat from fission products with relatively short half-lives - from days or weeks to about 30 years for most of them (most isotopes of iodine, cesium, strontium, etc.). The fuel will stay well above the boiling point of water for centuries or even millennia, although the temperature will keep dropping over time. And speaking of the boiling point of water, above that you get steam. Steam is particularly hazardous to the zirconium cladding of the fuel rods. The zirconium separates the hydrogen from the oxygen in the water molecules of the steam, and the hydrogen atoms combine with each other as H2, which is explosive. Because it's so hot and radioactive inside the dry cask, they can't monitor this process near where it's happening, inside the "dry" cask. They need to monitor the water content, as well as the hydrogen, oxygen, helium, and "fission gasses" that are emitted. After draining the fuel rods by slowly lifting the entire dry cask assembly out of the spent fuel pool (about 15 years after it was used in the reactor) about 25 gallons of water will remain in the fuel assemblies in the dry cask. This water must be removed through repeated drying processes which are only partially successful each time. After that, water seepage into the dry cask is also an ever-constant threat. There are now about 50 and will be approximately 150 dry casks at San Onofre. Each one will need a constantly-operating monitoring system to know the levels of hydrogen and other gasses in each cask. Such systems have not been designed for horizontally-stored casks such as are used at San Onofre. Instead, walk-by monitoring will be done for escaping radiation. That's not sufficient. The threat of water intrusion comes from many sources. The dry casks will supposedly be submersible to 50 feet of water, according to regulations. But on the other hand, they will barely be above sea level, and the California State coast and waterways brochures state that everywhere along California's coast, 50 foot tsunamis are possible. Should we risk these "dry" casks on a coast with 9 million people within 50 miles and with so little margin of error? In some ways, it's too bad the fuel isn't hotter, because if the temperature is above the "brittle/ductile boundary temperature" (which varies for every alloy of cladding and everything else in a fuel rod assembly) then it's much easier to move. But instead, the fuel has been cooling to well below that temperature, and now it's very brittle and difficult to deal with. As it gets older it also gets more and more embrittled, and so, even more difficult to deal with. That is where we are heading here at San Onofre. Additionally, in high burn-up fuel, the ceramic pellets of Uranium Dioxide, which forms the bulk of the mass of the fuel rods (uranium is 1.7 times more dense than lead) fuses to the zirconium cladding. This is a very serious problem during later transport of the fuel, especially during postulated (let alone, greater-than-postulated) accidents, because the weight of the fuel on the ring of zirconium cladding is all concentrated on the very thin areas between the fuel pellets. So a force that was supposed to be spread out along the length of a pellet (about an inch) is instead borne nearly entirely by mere fractions of a millimeter. A crack means deadly fission products escape, a full rupture of a fuel rod means pellets drop out and could cause a criticality event when they gather at the bottom of the cask. There are no shipping containers which the NRC has licensed for transporting high burn-up fuel, and worries about criticality events is one reason why. There aren't even any dry cask storage containers which have been licensed beyond the 20-year period for storage of high burn-up spent fuel. As recently as last March, the NRC's own experts can be heard at a meeting stating that tests for the quality of such containers should take at least 10 years to conduct -- and that's after the regulators have already conducted preliminary experiments to determine the type of testing that needs to be done! But it's the nuclear industry's job to actually do the tests (according to the NRC). The tests need to be done for each type of cladding. All zirconium alloys behave uniquely, and the industry hasn't even started to develop a plan for a test, let alone started a test of their systems for long-term storage or for transport afterwards. However, despite these "known unknowns," high burn-up fuel IS being used around the country, and IS being loaded into dry casks, which are currently licensed for up to 20 years sitting on site wherever they happen to be produced. Never mind the pressures from vibrations of ocean waves and rails and truck routes a few feet away and all those unknowns. Never mind that there is no national plan to move the fuel ever. Never mind all that, so that operating reactor sites can keep making more waste. High burn-up fuel allows reactor companies to keep operating even when they would otherwise be unprofitable. It also wears out the steam generators and/or other components of the reactor faster*. It's no bargain for society to let the utilities get away with using high burn-up fuel! * It should be noted that it's usually the ratepayers who pay for the repairs. During the protocol portion of the Waste (No-)Confidence proceedings, which are scheduled to start October 1st, I (and others) repeat asked for the ability to view, and participate in all the hearings which are to be held nationally. Webcast, phone-in, webinar -- all have been denied. So at the last Waste (No-)Confidence protocol phone-in earlier this week, instead of asking yet again for one of these things, I commented instead on the SCOPE of the Waste (No-)Confidence decisions being considered. That comment was also denied but in a different way: I was told it would be a good comment to submit during the Waste (No-)Confidence comment period, which began the next day. I therefore am submitting those comments, as suggested. As it turns out, I had thought to record the comment with my smartphone at the last moment, so I can submit it not only word-for-word, but inflection-for-inflection by submitting it as an audio recording. But inflection also only carries part of the meaning. There's still nothing to see. That is why NRC is required to meet in the same room with the ratepayers, advocates, concerned citizens, and other interested parties and stakeholders in their decisions. That is why the NRC is required to come out to the local communities. Visual accompaniment -- either of the speaker or of the speaker's presentations (slides, videos, etc.) -- is another important part of communication. Therefore I took the recording of the comments I made at the Waste (No-)Confidence protocol phone-in, which I was told should be submitted during the comment period, and added visual aids to further explain what I'm talking about. The audio is uncut and unedited, and runs under two minutes. I would like this video to be played at the opening hearing to be held October 1st, 2013 at the central NRC headquarters in Maryland. Additionally, if possible, it would be very convenient if my time to speak is scheduled fairly accurately for that hearing, because the California Public Utilities Commission is holding a hearing locally (in San Diego, 30 miles from my home) the same day, about decommissioning San Onofre. I would like to speak at both hearings if I can arrange it, since the topics are tightly intertwined. I will probably end up listening to and watching the Waste (No-)Confidence proceedings with earbuds on my smartphone while physically at the other hearing, paying as close attention to it as possible with my other ear. If my 4G connection fails so I am unable to speak, at least the video could be played. If I have a live connection, as I expect to have, then I hope I could also add a minute or two of additional commentary such as responding to the NRC staffer's additional comment that I should take a look at page 4-79 of the recently-published Waste Confidence document, which I have since done, and which was not enlightening in any way. This brings me to the second topic of this letter: Why can't the Nuclear Regulatory Commission set up some form of Internet bi-directional connection for EACH of the dozen Waste (No-)Confidence meetings around the nation? Of course you don't want to be loaded up with the same people "preaching to the choir" over and over again -- but there are ways to avoid that. So why not transmit the audio and video and have a live audio/video chat line or at least a typed questions column? It's something that literally tens of thousands of other organizations (and you too, probably) do every day. So why not for these vitally-important, judicially-mandated proceedings? After all, this is 2013. NRC needs to get real about the technological challenges it faces regarding nuclear waste. NRC should also get real about the technological marvels that are available in the real world to help them follow their mandates: To protect the world from radioactive accidents (best done by switching to solar power), to properly inform the public of their regulatory decisions, and to allow the public to take part in formulating our national nuclear policies. Those policies have been irrational for too long. Not allowing ALL of the public to witness and be a part of ALL of these historic "65-years-of-failure" Waste (No-) Confidence proceedings is a criminal act of denial-of-service. It's a 31 1/2 minute video, but if there's a more appropriate kickoff to explain to interested parties what the issues are regarding "Waste (No-)Confidence" I haven't seen it, which is why we made it. The team that created these videos (myself and my buddies) would be happy to go to EACH of the NRC's "Waste (No-)Confidence" meetings and ensure that some form of live transmission occurs. We would also record the meetings in HD. We could live-broadcast all the proceedings for the NRC -- unforeseeable technological hurdles notwithstanding (unlike nuclear power operators, we are realists). For financial reasons of course, it would be impractical for us to do so without compensation for travel, time and expenses, but the public would undoubtedly appreciate the money being spent so they could see and even participate in the proceedings live as they occur. NRC should already know the public wants this, based on the many comments requesting Internet access that were made during the protocol phone-ins. I'm sure, however, if NRC was willing to pay for it, they could ensure that each hearing is broadcast on their own, without our help. Most universities these days can do it from any classroom, for instance. I'm sure NRC could do it too, if they tried. In the meantime, please let me know about the other matters discussed in this letter. The author has attended over 100 Nuclear Regulatory Commission hearings, meetings, webinars, phone-ins, etc. over the past 20+ years. He has studied nuclear issues since the 1960s, when, as a child, he wanted to understand why we had to "duck and cover" in the first place. >I would argue that immersion is primarily a quality of consciousness that has to do with the capture and control of attention, a necessary condition for any interpersonal persuasion, education, or entertainment to occur. - Diana Slattery. September and October will be busy months as we move into the setting the stage for the Decommissioning of the San Onofre Nuclear Power Plant. There will be two public meetings sponsored by the Nuclear Regulatory Commission (both in Carlsbad) and a Public Participation Hearing of the California Public Utilities Commission in Kearny Mesa. We have worked hard to get these bodies to come to San Diego County and we would like to have a great turnout so that these two agencies can hear our concerns! The Coalition to Decommission San Onofre will also hold its own Community Symposium on the decommissioning of San Onofre and the ongoing problems and hazards of the nuclear waste stored there on October 21. We are bringing in two top experts who will talk to us about the issues and help guide us into making sure that the decommissioning process moves forward and that the nuclear waste hazard is addressed ASAP. This program will be in San Clemente. Save the Date for the CA PUC 's first Public Participation Hearing in San Diego on how much ratepayers should be stuck with for the defective San Onofre Power Plant! 2 p.m.-5 p.m. AND 6:30 p.m.-9:30 p.m. NOTE that there are 2 sessions: 2-5p and 6:30-9:30p. You don't have to be there the entire time reserved by this Event. LIKELY to have a Press Conference & Rally at ~ 1p. and Overpass Light Brigade in the evening! Stay tuned. The NRC has scheduled twelve public meetings to receive comments on the Waste Confidence Draft Generic Environmental Impact Statement (DGEIS) and proposed rule. The NRC Waste Confidence Directorate staff will present a short overview of the DGEIS and proposed rule, after which interested parties and members of the public are invited to present oral comments on the documents. All twelve meetings will be transcribed, and transcripts will be added to the official record for consideration in preparing the final GEIS and rule. Center for Spiritual Living Capistrano Valley, 1201 Puerta Del Sol, Suite 100, San Clemente, California 92673. Featured speakers: Arjun Makhijani, expert on HOSS (Hardened On Site Storage) and long-term high-level waste management issues and President of the Institute for Energy and Environmental Research. Marvin Resnikoff has worked on nuclear waste issues with government, industry, and activists for decades, Senior Associate at Radioactive Waste Management Associates and is an international consultant on radioactive waste management issues. He is Principal Manager at Associates and is Project Director for dose reconstruction and risk assessment studies of radioactive waste facilities and transportation of radioactive materials. Hello everyone, please see the attached presentation slides for tomorrow�s public meeting to discuss the staff analysis of Japan Lessons-Learned Tier 3 issue on expedited transfer of spent fuel to dry cask storage and to discuss the Spent Fuel Pool Study. We will have copies of the slides available for meeting attendees, and the slides will be posted on the screen for both the webinar and webcast on the NRC website at http://video.nrc.gov. "We won't eat it ourselves, but we sell it." And they are encouraged to do so! And they won't be able to feed their families if they don't. It's a tragedy all around. "In the agricultural policy managed by the Ministry of Agriculture, it is a priority to dispel the harmful rumor about Fukushima produce." The above quote is from within the transcript (below). It clearly demonstrates the International Atomic Energy Agency's agenda: to dispel the 'harmful rumors' about contaminated agriculture. And here's how it's done. First, you define the level of contamination which is "acceptable" (this is based on the International Council of Radiation Protection [ICRP]; these are the guys who did the radiological studies after Hiroshima and Nagasaki in 1945 and 1946 and they created the standards of "acceptable" radiation exposures based on those studies. It is important that you understand this, because DNA wasn't discovered until 1952 (Watson & Crick) and radiological damage to DNA is much more subtle and happens at much lower levels of exposure. It is also important to understand that the ICRP has so far refused to adjust their "acceptable" limits to include considerations for damage to DNA). Fourth, you back it up by saying that the concentration of contamination (i.e., the 'rumor', is below the "acceptable" limits. 00:14-I want to give you a concrete idea as to what kinds of problems we farmers are facing. I would appreciate your close attention. I am still engaged in agriculture full time in Fukushima. I live in Sukugawa. Last year, cesium exceeding 100 Bq was detected in the brown rice produced there. First case Nationwide. As a result, decontamination of the rice fields started. 01:00 But please keep this in mind. Day in, day out we are working in the field without knowing the level of soil contamination. I hope you heard me. I am not talking about the radiation readings in the air! In my district, farmers were also mobilized to do the decontamination work in the rice fields. 01:35 Myself included. Do you understand the "de" in the word "decontamination"? We are just tilling deeply and spreading the radiation thinly. We are removing the contamination. No wonder that the radiation level has not gone down. We "decontaminated" the rice field. 02:03 We measured the radioactivity in the air. It has not gone down at all. We have not removed the contaminated soil Of course not! The environment has not changed at all 2 years after the explosions. The guidelines say we cannot use farm materials such as coverings that are contaminated. But we have no way of measuring the radiation level in those. So we have to replace them with new ones. Are you going to do something about this? Please don't take lightly what we farmers are going through. 03:05 We grow food. We eat safe and clean food ourselves. And we supply them to our consumers. But there is no longer joy in harvesting our produce. 03:33 The farm produce from Fukushima is cheaper than that from other areas. Do you think we can keep our motivation going, knowing that in advance, and expecting the compensation payment for the loss? How do we keep going? There is one more thing. 04:00 In Fukushima, all farm produce must be checked for the cesium level prior to shipping. The current government limit is 100 Bq. The farmers know how many Bq of cesium their produce contains. We can ship them if the reading is lower than 100. But I would not dare eat it myself. 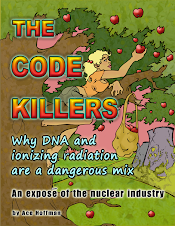 The consumers assume there is no radiation in the food they buy. 05:30- Tamano District is located in the western part of the city. The radiation readings in Tamano are almost as high as in Iitate. In the woods, you find spots with 7 to 10 micro Sv/hour everywhere. The decontamination is being done in limited areas. But there are so many cases that the areas outside the crop fields are not measured, unlike rice farmers. 06:00 The people are carrying on their lives in this highly contaminated area. And if they choose to evacuate, they are expected to do so without any assistance. The economic support is not sufficient, and the compensation for the psychological damage is not sufficient. It's a double suffering. There remain many places like that which were excluded format he government assistance. There are a great number of people who were left out-- by the border lines that the government and TEPCO drew. 06:32 So please don't ignore our plea. Please take the facts in to your hears so that you will make the help work. I want to go back to the question of food contamination. Would you feed your children the food with less than 100 Bq. How about 50 Bq? Simpler measuring equipment would not detect cesium less than 10 Bq. Not many places can afford the machine with high precision. 07:00The equipment which can measure all of alpha, beta, gamma rays are too expensive. Usually only gamma rays are measure. Therefore, only cesium. Do you think the consumer really believe ND (not detected) and put the food in their mouth? No. They won't eat it. They do know that for a fact. I want to put this question to you, and Mr. Nishida. And you from the Ministry of Education. Would you want to feed your own children the food with 10 Bq, since it is much lower than 100 Bq, and because someone says it is safe? 07:32 Would you want to eat it yourself? You choose to eat it!?! I commend you for your willingness to sacrifice yourself. 08:00 But I bet you won't allow your children to eat them. Isn't that so? Mr. Nishida, you must be about the same age as me. You may be prepared to die to do your part, but I don't believe you will force that onto your own children. That is how we respond to the risk of radiation. Mr. Sudo, you seem to be carefree, but you would also not want your children to live in a contaminated area-- and eat contaminated food. Do you? This is THE issue the government must address. But you are avoiding the real issue. The government claims that it is within allowance level, but TEPCO doesn't collect data. 08:30 You have heard this before, and you have seen this happen, but the government, who has the authority to restrict the shipment of agricultural products, refused to take any actions. 08:41 There is nothing more disappointing and discouraging! (APPLAUSE) -Earlier I asked where you dignity went. I respect you as a fellow human being. I understand that you need to protect your job and position. But you are crossing the lines that should not be crossed. 09:13 Where is your pride!! You don't want your children to eat contaminated food. Nobody wishes that. You are no exception. If you are single, you will have children some day. Would you want to keep your children away from the danger of radiation. You ought to translate such honest wishes into national policies. 09:36 How deplorable that public servants like yourselves behave this way!! If you are risking somebody else's life, you should prepare to risk your own. That is the pride expected of a human being. 09:53 THE PERSON IN CHARGE OF MINISTRY OF ECONOMY, TRADE AND INDUSTRY responds: -I understand that the public sees our responses inadequate. But compensation payments are meant to fill that type of gap. The question was raised on whether we want to eat the food from Fukushima. Just to give you an example, the rice from Fukushima was made available for sale at the Ministry. I did buy some, and my family ate it. If we can diminish the harmful rumor about Fukushima produce this way, I do believe we can move forward. We will properly treat safe food as safe and dangerous food as dangerous. But what is safe is safe. We would like to continue to focus on improving the perception of--- the public toward farm produce from Fukushima. This is not the issue that has to do with the compensation payments alone. In the agricultural policy managed by the Ministry of Agriculture, it is a priority to dispel the harmful rumor about Fukushima produce. 11:17--Can I say something about this? You keep saying "harmful rumor" and "harmful rumor". It is not a rumor. Do you understand? If it is simply a rumor, there would not be a basis for it. Our farm land has been seriously contaminated. As bad as thousands of Bq. I measured my own land. It is there If you are saying that is is a bad rumor, please, please get rid of that contamination from my land. 11:46 Take it all away! I am not saying these things because we can't make money. You know that Mr. Sudo. I have told you many times. You say that the government is paying for the damage. Why don't you ask Mr. Nishida what is being compensated. There are losses that are not compensated. There are a variety of produce that people just won't buy. You should make your staff understand that. 12:13 You are not doing your job.